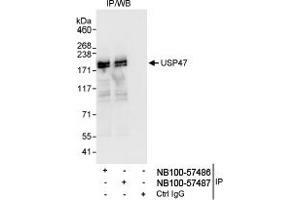 Western Blot: USP47 Antibody [ABIN252825] - Detection of Human USP47 by Western Blot of Immunoprecipitates. 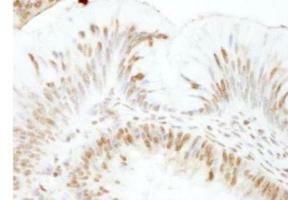 Samples: Whole cell lysate (1 mg for IP, 20% of IP loaded) from HeLa cells. 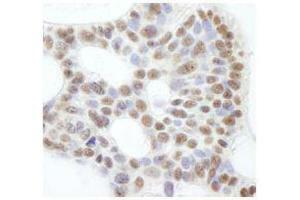 Antibodies: Affinity purified rabbit anti-USP47 antibody ABIN252825 used for IP at 3 mcg/mg lysate. 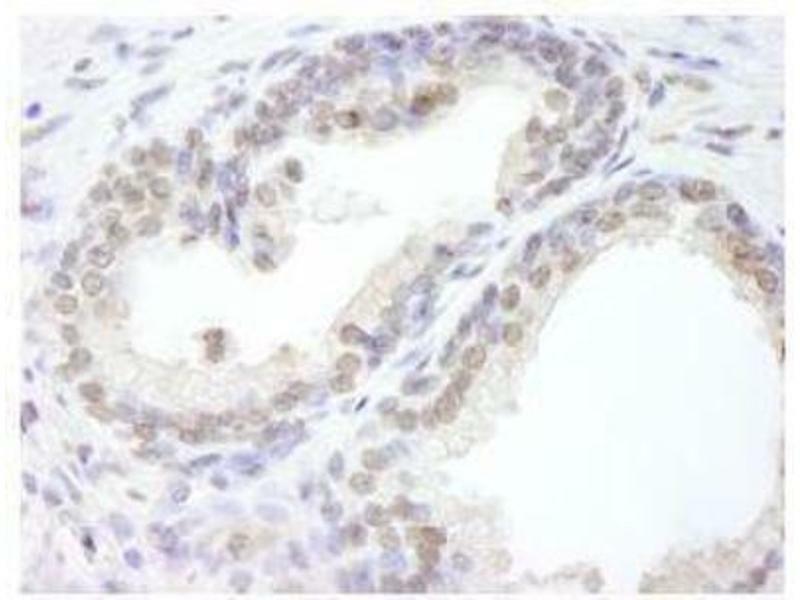 USP47 was also immunoprecipitated by rabbit anti- USP47 antibody ABIN252824, which recognizes an upstream epitope. Detection: Chemiluminescence with an exposure time of 3 seconds. 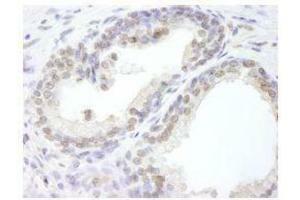 Immunohistochemistry-Paraffin: USP47 Antibody [ABIN2528257] - FFPE section of human prostate adenocarcinoma. 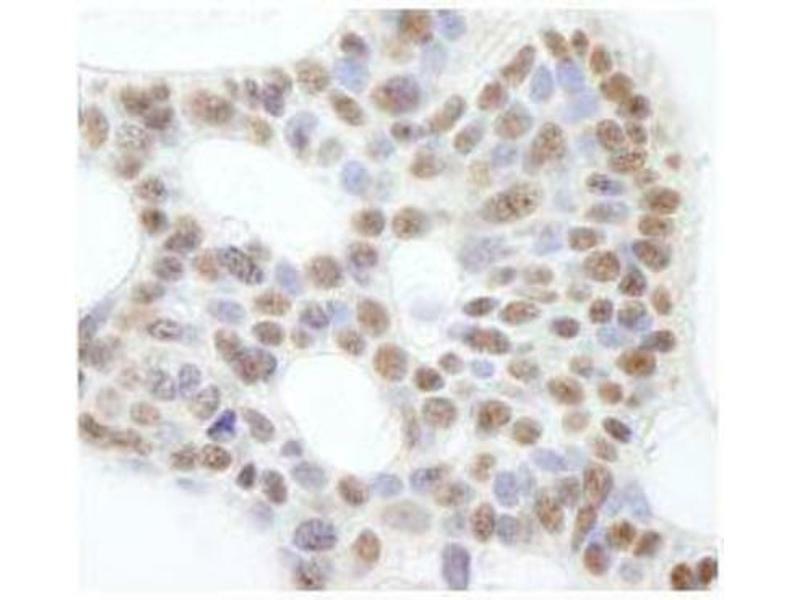 Affinity purified rabbit anti-USP47 used at a dilution of 1:100. 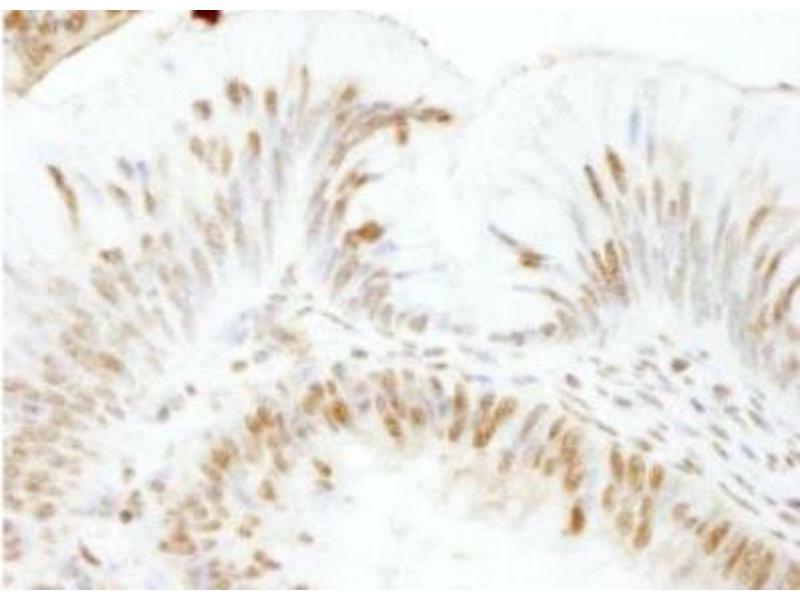 Immunocytochemistry/Immunofluorescence: USP47 Antibody [ABIN2528257] - FFPE section of human prostate adenocarcinoma Affinity purified rabbit anti-USP47 used at a dilution of 1:100. 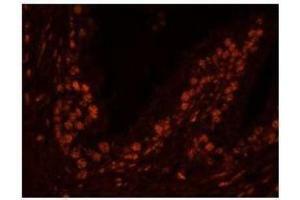 Detection: Red-fluorescent Alexa Fluor 555 goat anti-rabbit IgG used at a dilution of 1:500. 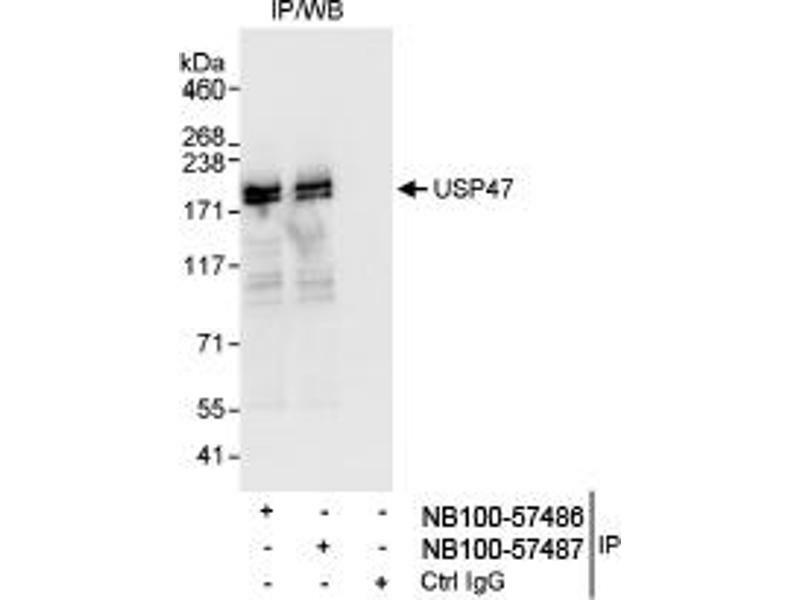 Immunogen The immunogen recognized by this antibody maps to a region between residue 1237 and the C-terminus (residue 1287) of human ubiquitin specific peptidase 47 using the numbering given in entry NP_060414.3 (GeneID 55031). 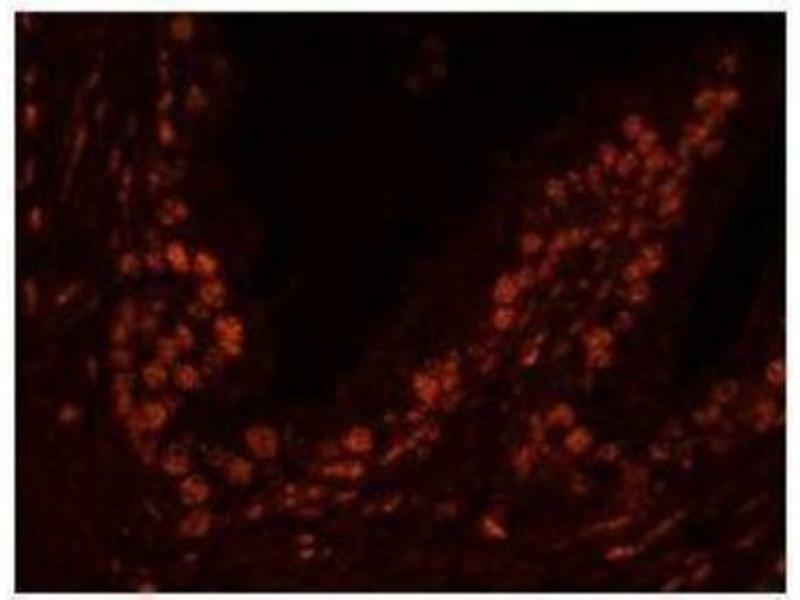 Application Notes Immunohistochemistry 1:10-1:500, Immunocytochemistry/Immunofluorescence 1:250- 1:1000, Immunoprecipitation 2-5 mcg/mg, Immunohistochemistry-Paraffin 1:100-1:500This antibody is not recommended for Western Blot analysis. Storage Comment Store at 4°C. Do not freeze.